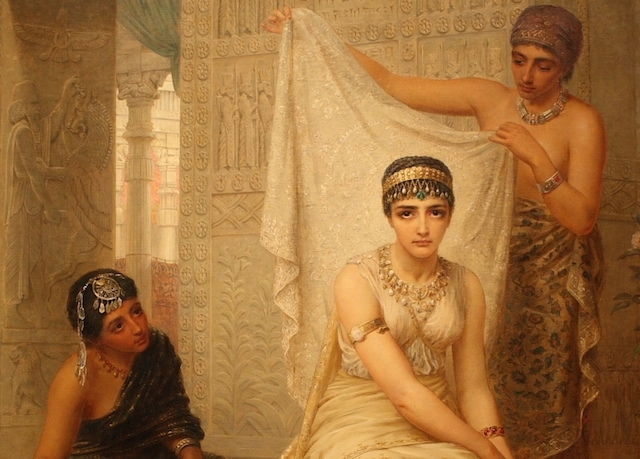 The book of Esther is not a historical document in the usual sense--but that doesn't undermine its importance as a religious book in the Jewish canon. Megillat Esther, the Book of Esther in the form that we have it in the Hebrew Bible, provides the story of the origin of Purim, the blueprint for its celebration, and the authorization for its observance in perpetuity. The story itself is implausible as history and, as many scholars now agree, it is better viewed as imaginative storytelling, not unlike others that circulated in the Persian and Hellenistic periods among Jews of the Land of Israel and of the Diaspora. This story seems to have been known in several different versions, or to have gone through a number of different stages in its development before it was linked with Purim and incorporated into the Bible. As a Diaspora story –a story about, and presumabIy, for, Jews in the Diaspora during the Persian period–it provides an optimistic picture of Jewish survival and success in a foreign land. In this it resembles other Diaspora stories such as the biblical Book of Daniel (chapters 1‑6) and the apocryphal books of Judith and Tobit. But unlike those books, Esther lacks overtly pious characters and does not model a religious lifestyle. Esther is the most “secular” of the biblical books, making no reference to God‘s name, to the Temple, to prayer, or to distinctive Jewish practices such as kashrut. Yet Esther, of all the biblical books outside of the Torah, is the only one that addresses the origin of a new festival. For this reason, if for no other, Esther should be considered a “religious” book. Its main concern, the very reason for its existence, is to establish Purim as a Jewish holiday, for all generations. Megillat Esther establishes the Jewishness of the holiday by providing a “historical” event of Jewish deliverance to be commemorated and an authorization, through the letter of Mordecai, for the continued commemoration of the event. Just as the more ancient festivals are historicized and their observance is mandated by the Torah, so Purim is historicized and its observance is mandated by the Megillah. The Book of Esther serves as the authorizing document for Purim, a holiday that is not mentioned in the Torah. But the Megillah mandate differs from the Torah’s in one crucial respect: it is careful not to say that God commanded the observance of Purim. In fact, God is nowhere mentioned in the book and his absence emphasizes the distinction between the Torah and its festivals on the one hand and the Megillah and its festival on the other. The Megillah makes no suggestion that Purim is an ancient festival that had been forgotten or neglected. Purim is clearly a new festival, of recent origin. The Megillah gives legitimacy to this first post-Torah festival in a mode that is quasi-traditional but at the some time quite contemporary. Following tradition, the book’s explanation of Purim as a “historical” event to be commemorated harks back to the Torah’s etiologies (stories of origin) for the well‑established holidays. But, calling on contemporary practice, the form in which the holiday was instituted imitates the legal practice of Persia. Purim was legislated in much the same way that all Persian law was legislated–by means of a document written by the king or his authorized agent and circulated throughout the empire. Another successful rhetorical strategy is the combination of a serious theme and a comic style. The threat of the destruction of the Jews is no laughing matter, but the Book of Esther is hilariously funny. The raucous Persian court, with its lavish display of Iuxury, and its pervasive drinking parties, is not the setting we expect for the impending annihilation of the Jewish people. The plot glories in revelry, and bawdiness (and this may be the primary reason for the absence of God’s name). The frivolity of the book’s style–with its hyperbole, mockery, and comic misunderstandings and reversals–undercuts the gravity of its theme. Yet, for the Purim festival this setting, plot, and style are natural and fitting, part and parcel of the celebration of Purim. The tone of the book fits its purpose: a comic story for a carnivalesque holiday. I find in this comic style additional evidence that the purpose of the Megillah was to model and to authenticate the celebration of Purim. In the Greek versions of Esther, which deemphasize Purim, the comic elements are diminished. The Hebrew Esther and the festival of Purim bring us a uniquely irreverent and joyously optimistic celebration of Jewish identity and Jewish continuity. It is generally accepted that there is a strong link between comedy and carnival going back to the origin of dramatic comedy, ancient Greece. Comic performances have been associated with popular carnival-like celebrations in medieval and Renaissance Europe. In fact, the Greek word komos, whence “comedy,” comes, signifies a riotous celebration. Certainly, the celebration of Purim is carnival ‑like, with its drinking, costumes, Purim plays, and Purim carnivals. 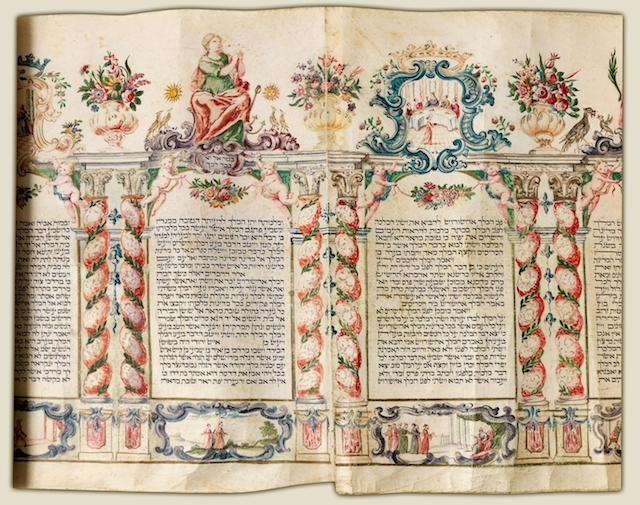 The Megillah itself sets the parameters for the celebration, and its later manifestations are completely congruent with the tone and genre of the book as well as with carnival celebrations known from many cultures. Carnival celebrations, best known from the Greek Dionysia, the Roman Saturnalia, and the English May Day (and in modern times Mardi Gras, Halloween, and New Year’s Day), often contain elements such as eating, drinking, carousing, masks and disguises, parades and processions, and combat and mock battles. There is an air of wildness, boisterousness, and violence that is made acceptable, perhaps only barely acceptable, because it is done within the bounds of a socially sanctioned festive occasion. Carnival permits the release of one’s urge for violence and revenge in a way that channels the violence so that it is not actually destructive. Esther may not be a play but it is surely carnivalesque literature. Its secret identities, gross indulgences, sexual innuendoes, and nefarious plot against the Jews are part and parcel of the carnivalesque world of madness, hilarity, violence, and mock destruction. Indeed, violence is very much a part of this world, and it is in this framework that we should understand the slaughter of the enemies of the Jews in chapter 9. The killing is no more real than anything eIse in the plot, and is completely in character with the story’s carnivalesque nature. It is in this light that we should understand Esther. The largest interpretive problems melt away if the story is taken as a farce or a comedy, associated with a carnival-like festival. The book sets out a threat to the Jews so that the Jewish audience can watch with glee and laugh with relief as it is overcome. The mad and threatening world of the beginning of the story fades into a happy ending where, for a brief moment, the Jews, through their two representatives, can play at wielding the highest power in the great empire to which they were in reality subservient and in which they were an insignificant minority. The story, like its accompanying festival, does what comedy and carnival are supposed to do: it confirms the belief that the power at work in the universe favors life and favors the success of the Jews. The Book of Esther affirms that all is right with the world and with the place of the Jews in it. This article is excerpted from The JPS Bible Commentary: Esther, and is reprinted with permission of the Jewish Publication Society.